Goodreads says, "It’s the summer of 1889, and Amelia van den Broek is new to Baltimore and eager to take in all the pleasures the city has to offer. But her gaiety is interrupted by disturbing, dreamlike visions she has only at sunset—visions that offer glimpses of the future. Soon, friends and strangers alike call on Amelia to hear her prophecies. However, a forbidden romance with Nathaniel, an artist, threatens the new life Amelia is building in Baltimore. This enigmatic young man is keeping secrets of his own—still, Amelia finds herself irrepressibly drawn to him. When one of her darkest visions comes to pass, Amelia’s world is thrown into chaos. And those around her begin to wonder if she’s not the seer of dark portents, but the cause." 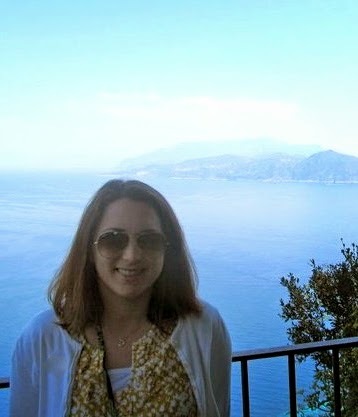 Amelia is living with her cousin for the summer in the city of Baltimore. The year is 1889 and Baltimore is very different from where she was living up north. Amelia is adjusting well to city life and making many acquaintances, including resident bad boy and artist, Nathaniel. He's not really in the same social circle as Amelia, but she cannot deny her attraction to him. One night at sunset, Amelia experiences a vision, which she realizes is a prediction of the future. Amelia's sunset visions become more frequent and she gains popularity as many people want her to "foretell" their futures as well. But Amelia experiences her scariest and most life altering vision yet and readers can't help but wonder what will she do? 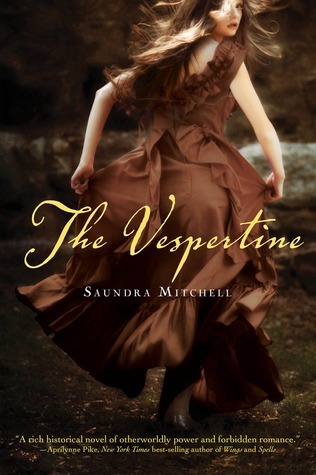 Saundra Mitchell's The Vespertine will please fans of historical fiction and have them up all night flipping pages. Mitchell is a new-to-me author and I really enjoyed her writing style. It was both compelling and vivid; the time period literally leaped right off of the page. I thought Mitchell did a good job portraying the limitations of women during the time period due to social etiquette. I don't know how women did it; I don't think I would last a day! Finally, we must talk about the cliffhanger ending. WOW! My my mouth was left handing wide open in shock! Mitchell also did a brilliant job weaving the paranormal elements into the story, although I would like to have learned more about Amelia's magical gift as well as the origin of Nathaniel's secret. Perhaps Mitchell will explain more in the next book? Lastly, I must say how happy I am more authors are writing young adult historical fiction. At times, I've felt like I've been in the minority when it comes to my love of YA historical fiction, but as of late, I've noticed that more and more people are enjoying it as well. The Vespertine was reminiscent of The Gemma Doyle series, which is one of my favorite young adult historical fiction series by Libba Bray. They both combined rich history, exciting characters, and fascinating magical elements. I can't wait to read more historical fiction from Mitchell in the future. In fact, I already have my eye on the companion novel, The Springsweet, which comes out in 2012. Apparently it's the Victorian era meets the Wild West. Bring it on! Great review! I'm almost done reading this one! i'm glad to hear you liked this one. i've seen some bad reviews of it, but i really want to like it! I've read good and bad reviews of this one, but I'm thinking that since we have similar tastes, especially regarding historical fiction, I think I might like this too. I'm really into reading his fic right now and this one looks really good. Great review! 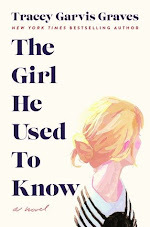 I've got this from Netgalley too but haven't started it yet. I can't wait! Good to know that there is a cliffhanger ending. I love those! I am glad you enjoyed the book. I love YA historical fiction too.